Standard features include oversized alloy steel pins and AR400 steel structures highlighted by AR400 steel tines with serrated edges. 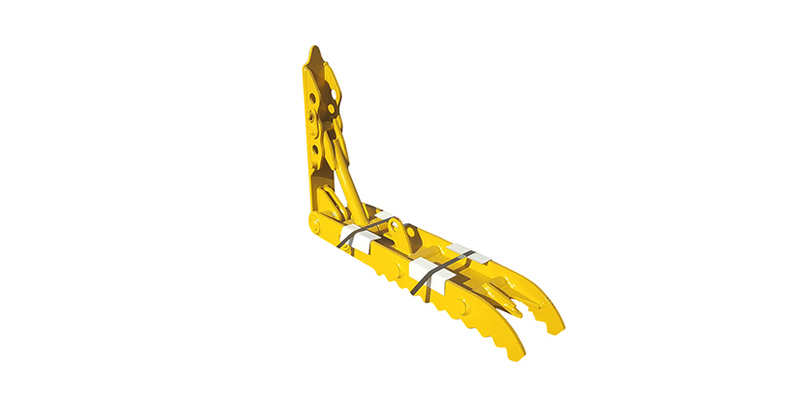 AIM thumbs are designed to work in coordination with existing buckets and attachments. Thumbs increase the versatility of any backhoe or excavator; assisting in waste handling, demolition, brush removal, and folds up tight when not in use.